Paulina García is on screen for just about every frame of Gloria, Chile's official Academy Awards entry for best foreign-language film. (It didn't make the final cut of five - a shame.) The actress inhabits the title role, bringing this fiftysomething woman alive in ways that are haunting and raw. 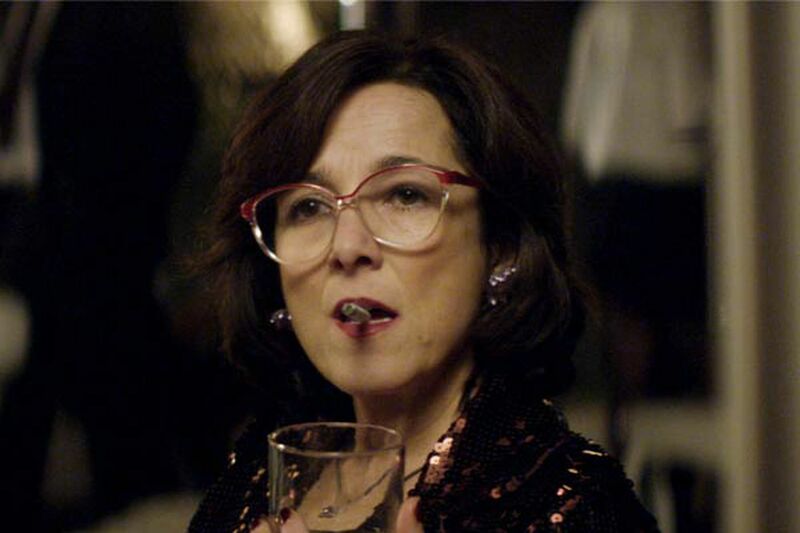 As a divorced office worker, with a grown son and daughter busy with their own lives, García's Gloria frequents clubs, dancing to disco, drinking and smoking, occasionally meeting a man and spending the night with him. Back in her apartment, she eats and sleeps and shoos out a pesky hairless cat that belongs to a neighbor. The pet continues to find its way into her place, her space, into the crushing emptiness. If it weren't for the late-night, quaking tirades of the man living overhead, Gloria's world would be so quiet you could hear a pin drop. Instead, you hear the pain drop. But García and director Sebastián Lelio aren't asking for sympathy or pity here. Gloria is striking in its clear-eyed depiction - showing us the world as its title character sees it, and breathes it, with its moments of satisfaction and sexual pleasure, as well as the isolation and despair. Promise and possibility appear in the guise of Rodolfo (Sergio Hernández), a well-into-middle-aged man she meets at a club, eyes locking across the dance floor. He has a gentlemanly manner. He calls for a date, and then spills his heart out across the table in a fancy restaurant with its striking views of Santiago. He is excited by her independence, her beauty, her vitality. Gloria gazes back through her big, round glasses, offering a smile. But as Gloria and Rodolfo's relationship develops, she begins to see the cracks, the flaws. He says he is divorced from his wife, with two grown daughters, but there are murmured cellphone conversations. He moves to the far side of the room when he speaks into the phone. Gloria, spare and keenly observed, plays like a short story - there is no sweeping narrative arc, no momentous triumph or calamity. But there is a bit of justice meted out, and the act of its meting brings a slow, small smile to Gloria's face. It's a moment to savor, even if the victory is bittersweet. Directed by Sebastián Lelio. With Paulina García, Sergio Hernández, and Diego Fontecilla. Distributed by Roadside Attractions. In Spanish with subtitles.